Start thinking about “smart home” technology and images of a tech-savvy young person’s home or a wealthy business person’s home may come to mind. But in recent years, smart home technology has become much more accessible – so much so that many seniors are embracing it. 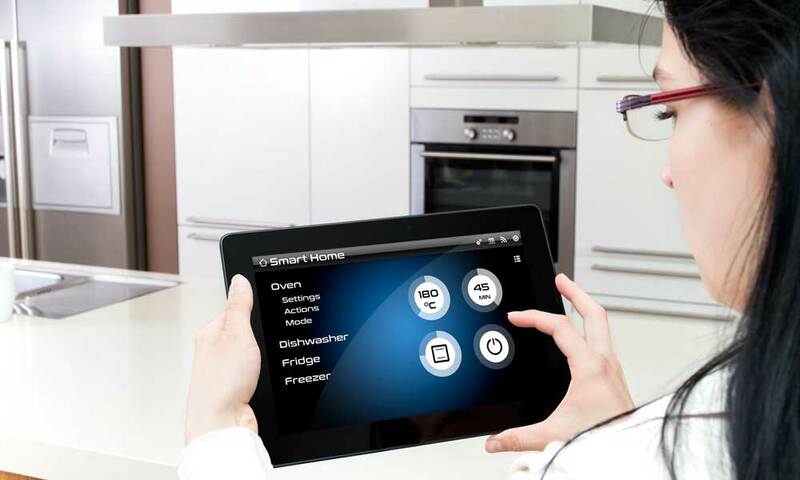 Smart home technology today provides a level of assistance to older people that they didn’t have 10 years ago. Things like making sure they take the right medicine, taking stock of what food is in their fridge, letting someone check in on them, turning off lights and more. And most of it is simple to set up and use. If you’re preparing a home for someone planning to age in place or your doing it yourself, here’s a look at some smart home technology that can take accessibility to whole new levels. These devices will require wi-fi to use, but they’re all fairly easy to install and set up. 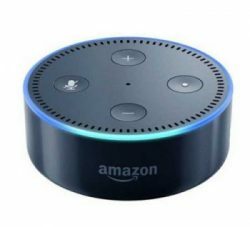 Amazon Echo Dot Mini, Source: Amazon. The Amazon Echo and Google Home are small voice-controlled devices that serve as “digital assistants.” Just by voice control, they can set reminders, make phone calls, give the time and day, play music, tell stories and jokes, play audio books, give weather forecasts and more. When paired with other smart home devices these devices can turn on and off things like light switches, ceiling fans, and televisions. They can control your thermostat by your voice and even preheat your oven. Both Amazon and Google sell mini versions of these devices that have the same functionality but only cost about $30. Forty-six percent of seniors over 75 live alone Safety is a huge concern for seniors, and there are few things make you as uneasy as a stranger knocking at your door. Smart doorbells like Ring let people see who’s at their door without opening it – even without going near the door. When connected to a smartphone or tablet, Ring will send an alert when someone’s at the door and even allow the homeowner to see and speak to the person. There have been several instances where families credit Ring with saving a loved one’s life – one instance where a dementia patient wandered out of their house to a neighbor’s and was detected by their Ring device. Ring can be bought for about $130 and comes in several colors and finishes. Seniors take a lot of medication – more than 10 prescriptions a year on average. MedMinder has taken the pillbox and made it high tech. If you’re taking any medicine, it can be tough to remember on a given day if you’ve already had your pill. But if you or a loved one are taking a lot of pills (perhaps with lessened mental capacity), it can be a recipe for disaster. That’s where Maya MedMinder can help. It’s a smart pillbox that locks down medications until it’s time to take them. The pillbox is filled out for a month, a schedule is set, and the box chimes and lights up the appropriate box when it’s time to take that medicine. If a medication isn’t taken, alerts can be sent to a cell phone via an app or text message. The price ranges depending on the model, but the best MedMinder costs around $45 a month for the Maya edition. It comes with wearable medical alert system devices that can connect you to a Philips Lifeline employee in case of an emergency. 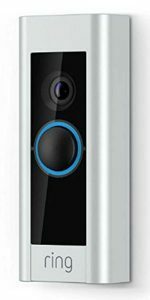 If you want to keep an eye on a loved one while living far away, a smart home indoor camera is a great option. Nest Indoor Camera, Source: Amazon. 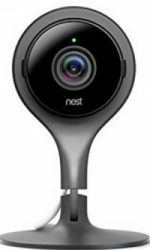 Nest, known for its smart thermostats, is probably the most popular brand in the field of indoor cameras and their products come highly regarded. Nest cameras cost about $199, with an extra fee if you want video recording. They allow family members to remotely access the camera (with a secure password) to see what’s going on. Nest even has motion detection to send alerts when movement is tracked in a certain area, night vision, and two-way communication. While programmable thermostats that stick to a certain schedule have been around for a while, smart thermostats bring a new level of control. 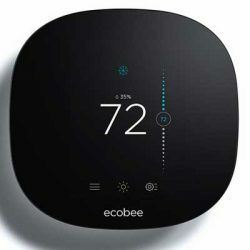 Smart thermostats from Nest, ecobee, and Honeywell not only let users set a schedule for temperature changes but connect to an app where the temperature can be changed with a smartphone or tablet (and let someone see what the temperature is currently set to). Some models even adjust a home’s temperature depending on the weather outside. Connect to a device like the Amazon Echo or Google Home, and the temperature can be changed just by speaking – a big plus for an individual who may have mobility issues and isn’t able to get up and change the thermostat. Smart thermostats can connect to almost any HVAC system (except older ones in a few cases) and run around $150 to $200 with no monthly fee. This is probably the most expensive item on this list at around $4,000, but it’s worth mentioning just because of how useful it is. Smart home tech can be found everywhere in a home these days, even the refrigerator. Like a lot of smart technology, you don’t realize how useful it is until you actually start using it. Samsung Family Hub Smart Fridge, Source: Amazon. 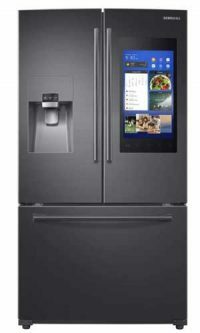 A large touchscreen on the front helps keep track of groceries inside while a small camera in the fridge lets you look in the fridge from any smartphone or tablet (say while you’re at the grocery store wondering if you have an item or not). Groceries can actually be purchased straight from the fridge’s screen and shopping lists can be created and then accessed by the app. If an individual has trouble remembering things, a smart fridge could be just what they need to keep their diet on track. For those who love to cook, a smart fridge can suggest recipes based on what’s inside or based on certain dietary restrictions. 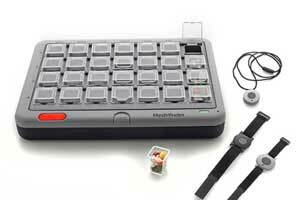 Traditional “smart technology” features are included as well, like the ability to play music or videos and write notes. Forgetting that the stove is turned on can happen to anyone, but, unfortunately, this happens more than you might think. The vast majority of home fires are caused by forgotten cooking appliances, and that’s why a product like the iGuardStove, which costs about $600, can literally be lifesaving. This is a device that takes complete control of the stove in a home – shutting it off if no one is in the kitchen (while still allowing for a manual override if a long meal is being cooked), locking the stove from unauthorized use (during certain time periods), and sending text alerts in the even of a potential emergency (or sending an alert if no motion is detected in the day for a certain time period). An app allows caregivers to monitor the stove remotely (and totally disable it if they choose), making sure that one of the home’s most dangerous appliances becomes drastically safer. Technology can be a scary thing to keep up with, especially for older individuals, but most smart home technology is actually very user-friendly for the most part. These devices open up a whole new world for seniors and allow them to do things they otherwise couldn’t. When planning to age in place, comfort is one of the biggest goals. And if you take advantage of today’s newest technology, you’ll probably find life can be more comfortable for a senior than ever before.